Sometime last month, I discovered that one of my favourite music directors would have celebrated his birthday centenary this year. 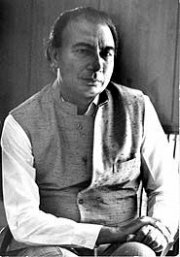 Born Roshanlal Nagrath on July 14, 1917, in Gujranwala (now in Pakistan), Roshan played the esraj for All India Radio, Delhi for about 10 years (during which he also composed music for various programmes) before moving to Bombay to try his luck in the world of cinema. 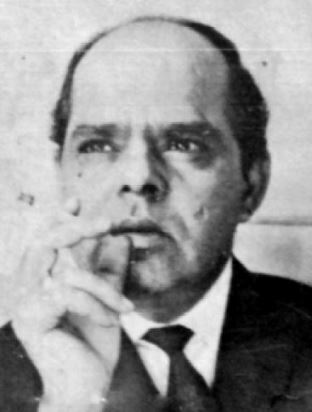 Roshan’s career as a music director took off fairly soon afterwards, with the resounding success of the score of Baawre Nain (1950); he went on to compose music for over 50 films until his death in 1967. 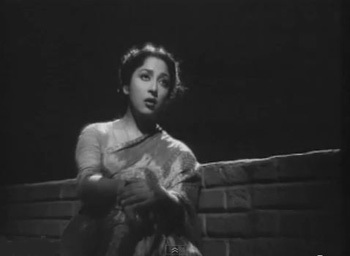 The other day, listening to old Hindi film songs while I went about my housework, I realised something: a lot of my favourite songs are songs the character onscreen sings to himself/herself. Not quietly hummed to oneself, not songs merely sung when no-one else is around: but songs whose lyrics are specifically addressed to the self. To an aching heart, for instance, either offering it comfort or encouragement—or telling it to resign itself to the sorrow that looms. Or (and these are fewer), songs of joy, doubling one’s own happiness by exulting over it in the company of oneself.